Q: Hi Greg. Which car do you feel was the first post World War II compact car to be a success? There were many around, but who do you feel gets credit for being the first? 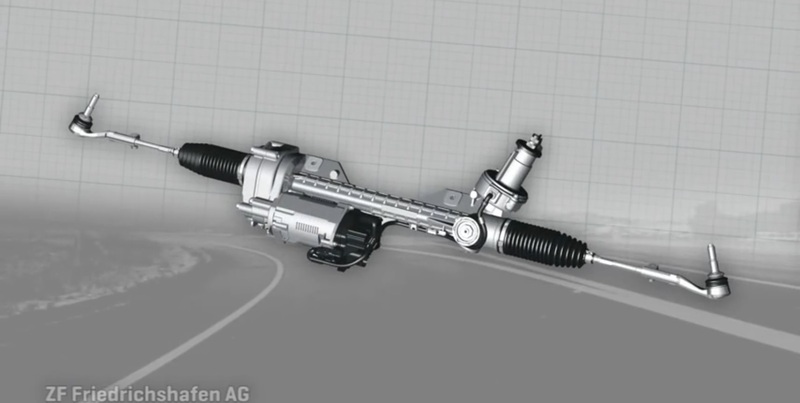 Thanks and keep up those great old car columns. George K., Chicago, Ill.
A: George, that’s a tough one as there were several car manufacturers experimenting with smaller cars back then, including sub-compacts like the Crosley and even mini-compacts like the King Midget, both of which I’ve covered before. However, since I’m pinned down as to a first new compact car, I’d have to give the pat on the back to two cars for this honor. First is the 1950 Nash Rambler. As mentioned before many times in my columns the name George Mason pops up as the main reason for its success. Mason was always in full support of smaller American made cars during his tenure as president of Nash, which he did so well after spearheading the merger of Nash automobiles with Kelvinator appliances back in 1937. Mason’s ideas on promotion were second to none and were way ahead of the curve, especially in using television to promote his Nash and Rambler automobiles in the television series “Superman.” He also talked Indy 500 officials into letting him use a Nash hardtop/sedan to pace the world famous race in 1947, the first ever for a non-convertible. 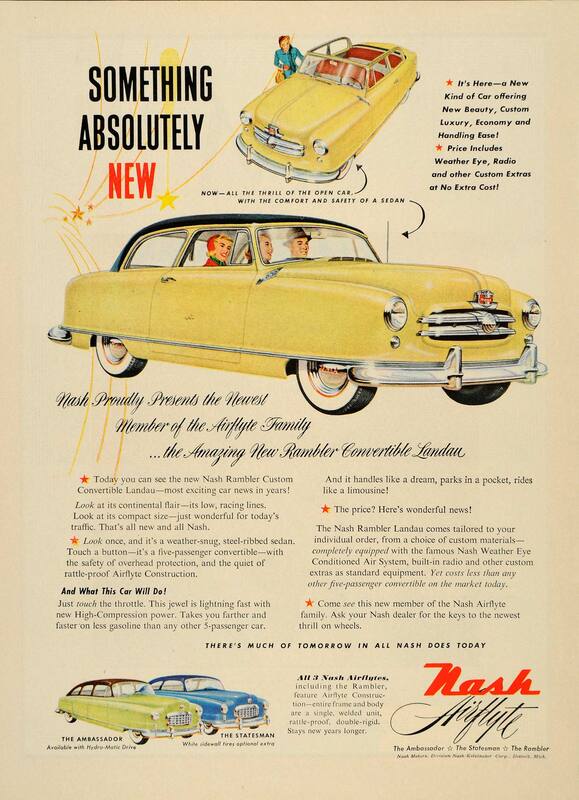 The new 1950 Nash Rambler sold over 11,000 units its first year and over 50,000 the next thanks to expanding the line to include a wagon and a hardtop. The second compact to arrive on the scene at the same time was the 1950 Henry J, introduced in September of 1950 and sold through 1954. You could even buy a Henry J at Sears Roebuck stores with Allstate badges on it with Sears tires and batteries. Industrialist Henry J. Kaiser, (thus the “Henry J” name) was the idea man behind this new compact which was cheap and provided dependable transportation for post war families just getting on their feet. Along with new homes that could be purchased for $9,900 (Levittown, Pa. is a good example), Kaiser felt he could sell a petty much stripped down, brand new car to those who were on tight budgets. 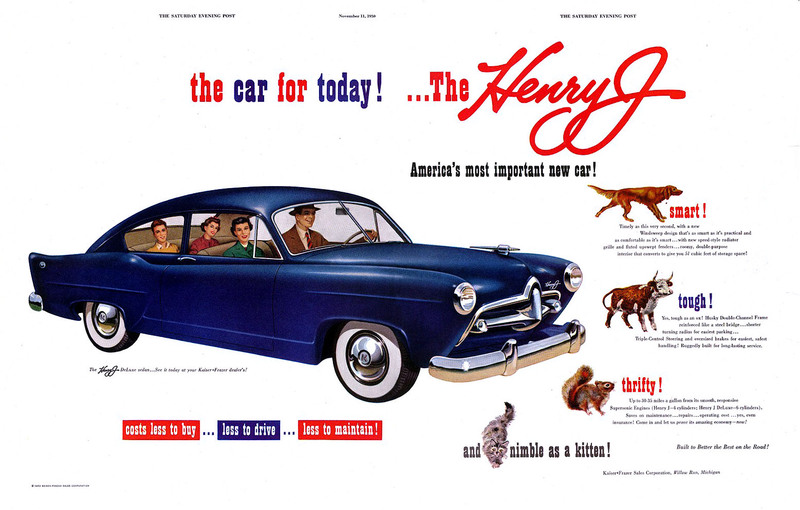 His sales theory, however, proved incorrect as after a decent start of 7,100 Henry J’s sold, sales declined each year through 1954 when Kaiser finally pulled the plug. In comparison, the Nash Rambler was way more successful because it featured a convertible zip-down top with many standard features over and above the Henry J bland offerings. The Nash Rambler later offered the aforementioned station wagon and a hardtop, leaving the Henry J way behind in the race to attract new customers. Price differential in 1950 was $1,321 for the new, but very plain, Henry J versus $1,800 for a nicely equipped Nash Rambler convertible. Thus, we’ll give both these cars a thumbs up for compact car initiatives. By the early 1960s, Ford Falcon, Plymouth Valiant (Dodge Lancer) and Chevy Corvair were ready for introductions as the big-three joined the compact car fray. Still, Nash Rambler and Henry J beat the “big-three” by a full decade. 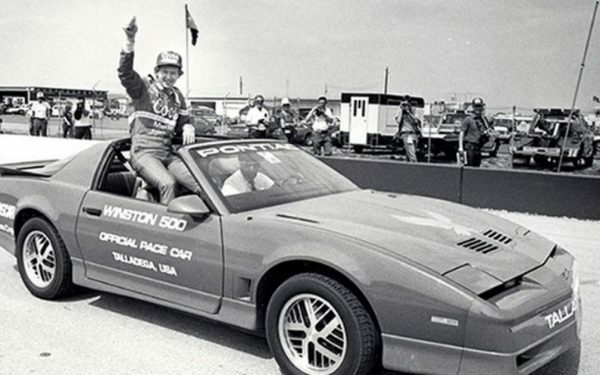 (Greg Zyla writes weekly for GateHouse Media, More Content Now and BestRide.com. he welcomes questions on collector cars and old time racing at 116 Main St., Towanda, Pa., 18848 or email atgreg@gregzyla.com).